Hello, internet world! As usual, it has been aeons since I wrote anything here. I’m quite sure I have a reasonable amount of stuff to write about to show for my time between writing here. so let’s see what we have! I’ve been having rather a lot of fun with my Nikon, as you may have been noticing if you follow my Flickr, as heaven knows it gets updated a lot more than this. Although I don’t think I’m taking anything particularly exciting, I’m enjoying hiding behind a nice big peice of glass wherever I go. Anyway, that’s mild digression. Following a bit of inspiration from the Lilliship, I have found myself dabbling in stopmotion animation, which I’ve put some of the fruits of up on YouTube– They’re only a few seconds long but I’m rather fond of them, so check them out! Like the first felt tip markers in the pack to run out on you as a child, the past three album covers I have made have all ended up mostly black with red detailing, by some freak coincidence. 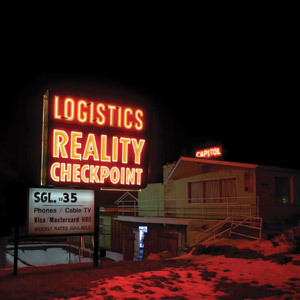 This includes the long-coming Icarus album cover. 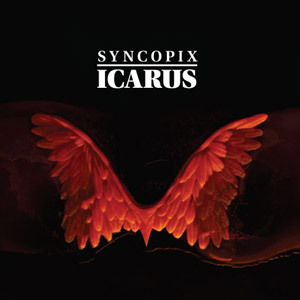 When Syncopix told me he was calling his album Icarus, I decided to take the title semi-literally for the art and ended up sculpting a pair of wings, casting them out of wax and melting them back down again for the cover imagery, photographing it all along the way. There are smatterings of new works throughout the portfolio for those who are looking for a new reason to shower me with money and to entertain you Trickartt-stalkers out there, in various sections. 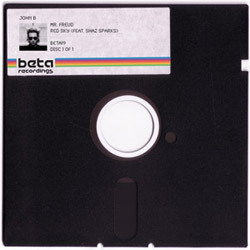 A couple worth talking about are the sleeve for John B’s new single, ‘Mr. Freud’, and the Sausage Bracelet. Mr. Freud appears to be a runaway popular sleeve, and despite my apprehensions when I made it, it turned out rather nicely. I was worried it was going to be a bit too much like a cheap blue monday, but it ended up holding itself up. When I received the finished copies, it made me feel like I was holding a giant floppy disc, which in my eyes qualifies it a success. The sausage bracelet was a valentine’s gift for Lilly (aren’t I sweet? ), modelled on her sausage dog, hand-sculpted by me. It’s not perfect, but i don’t think anything I make by hand is. As usual, there are other random bits forthcoming that I’m not really in a position to talk up, as well as a whole world of incertainty. I guess if you’re interested, you’ll find out whenever the time is appropriate. So that’ll do for now! Wow, two months since I last wrote here. I’ll make an effort to write something proper soon, I’m sure. 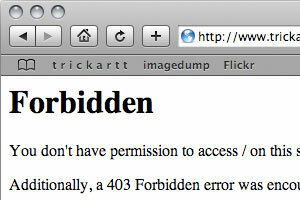 anyway, just a quick apology to anyone that tried to get to my site to find a 403 error instead- I was hacked! we had to shut down my site until I repaired the code, which I have done now. Blessing in disguise really- now my URLs are a lot tidier!